We think that every child is worth the best early childhood education New Zealand can possibly provide, and a great start in life. Research shows that children have huge amounts to gain from high-quality ECE which has powerful life-long positive impacts on their health, wellbeing, and later education. But while many children get a fantastic early childhood education from qualified, dedicated professional teachers, others can't. The previous Government's decision to freeze core funding means that ECE centres have lost funding of more than $500 per child since 2009. It's led to sharp increases to parent fees in some cases, a deterioration of child-to-teacher ratios, and increasing reliance on unqualified staff. That's got to change. We want the new Government to restore per-child funding and commit to 100% qualified teachers in every ECE service. New Zealand can afford to provide quality ECE. That's why we campaign for quality, teacher-led ECE as a right for every child. 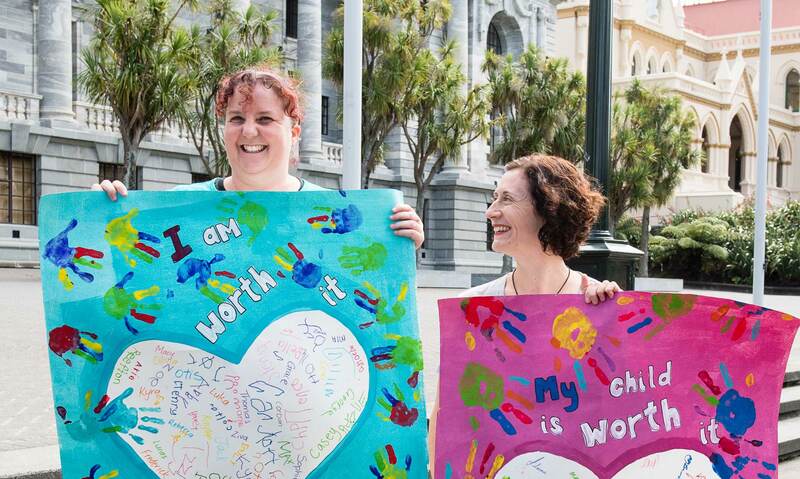 Your NZEI Te Riu Roa submission on the Government's He taonga te tamaiti Every child a taonga draft strategic plan for ECE builds on the powerful mahi woven together by members, allies and friends over many years. It shows how we can deliver incentivised and planned public provision, as well as an inclusive 100% qualified workforce, and progress pay equity and fair pay agreements with centrally funded teacher salaries in the short term rather than the far distant future. The legacy of this strategy needs to be about optimal, not minimal, planned public ECE that we experience as tamariki, teachers/kaiako, support staff, parents and whānau and see ourselves within. Mā whero mā pango ka oti ai te mahi - with red and black the work will be done. We've developed a 10-year strategic plan following a six-month conversation between members and friends of NZEI Te Riu Roa. Our recommendations provide a strong indication to Government of what needs to change in ECE. People working in ECE have been underpaid for far too long, just because caring for children is seen as "women's work". But we're starting a new movement to change all that. In the lead-up to the General Election in 2017, we challenged MPs and candidates to sign the Have a Heart Pledge, making a promise to work on restoring early childhood.